One of the MAJOR perks of running a vape blog is that you get to try out lots of cool, new stuff. Things like mods, tanks, and, in this context, E Juice, turn up on my doorstep, much to the chagrin of my better half, most days of the week. Vape Society sent me a package in the post, said it’d be some E Juice lines, but when I arrived at the depot to pick it up (I missed the delivery dude at my house), I was confronted by what can only be described as EPIC Vape Mail. The box, which was housed inside a shipping container, was enormous. And the reason? It contained six, full lines of E Juice – all 60ml/100ml/120ml bottles. Now, I get plenty of Vape Mail, running VapeBeat, but this was something else entirely. I basically got sent enough E Juice to last me until I am 70 years old, which is awesome – because I really do love vape mail. I’ll be working my way through these, though it will take some time. I’ll add in reviews for each individual flavor from each line below, however, so you can get my notes on the E Juice and whether it is worth your time. 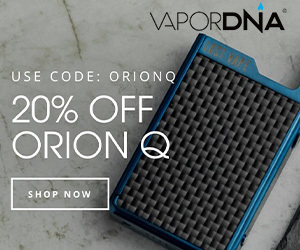 Reviewing E Juice in any real, meaningful way is kind of difficult because A) there are SO MANY lines and brands available, and B) because tastes – what you like versus what I like – are incredibly subjective, which kind of leaves us at an impasse. 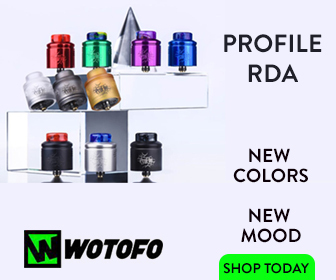 I’ll try and be as detailed as I can be about these E Juices, but most of the time the best way to see if you like something is to just bite the bullet and buy a selection. This is what I did before I started VapeBeat and it served me well enough, though there were, inevitably, stinkers along the way. The pursuit of the best vape juice is a path with plenty of pitfalls. You have to be prepared to try a few stinkers in order to find your new favourite vape juice – this is just a fact of life. It’s the same with beer, whisky, wine, and partners. All the E Juice lines in this feature are available via Vape Society, so if you find something you like below, be sure to pay them a visit! 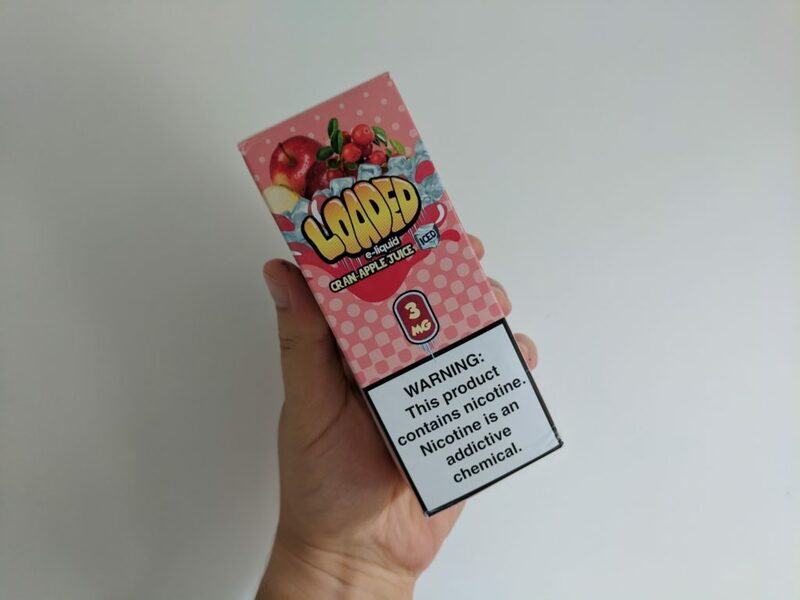 I’m gonna kick things off with LOADED E Juice, a brand of RUTHLESS, as the packaging was super-eye-catching and the flavors sounded right up my street. I like desert-flavoured E Juice. Cereal-flavoured one’s too. This is why, when I had five other, complete E Juice lines to choose from, I was immediately drawn to the LOADED E Juice flavors. The line is available in three flavors, at present – Glazed Donuts, Smores, and Cran Apple – and they’re all 70/30 mixes, which is a great blend that is really pleasant to vape, though I normally go with 80/20 when buying E Juice. LOADED is made in California by Ruthless Vapor. The packaging and bottle design is lovely and, importantly, you also get a free unicorn bottle with each bottle, which is handy when you’re buying juice in 120ml sizes. I’m originally from the UK, so I had NO IDEA what Smores were. I thought it was some kind of Turkish delicacy at first, but thankfully I was wrong. Smores is basically made up of creamy, toasted marshmallows and Cinnamon flavored Graham Crackers. It’s a heady mix, though the overall flavor is very precise yet suitably delicate enough that you can vape it all day long, providing you don’t mind Cinnamon, that is! Personally, I love the stuff. Can’t get enough of it. 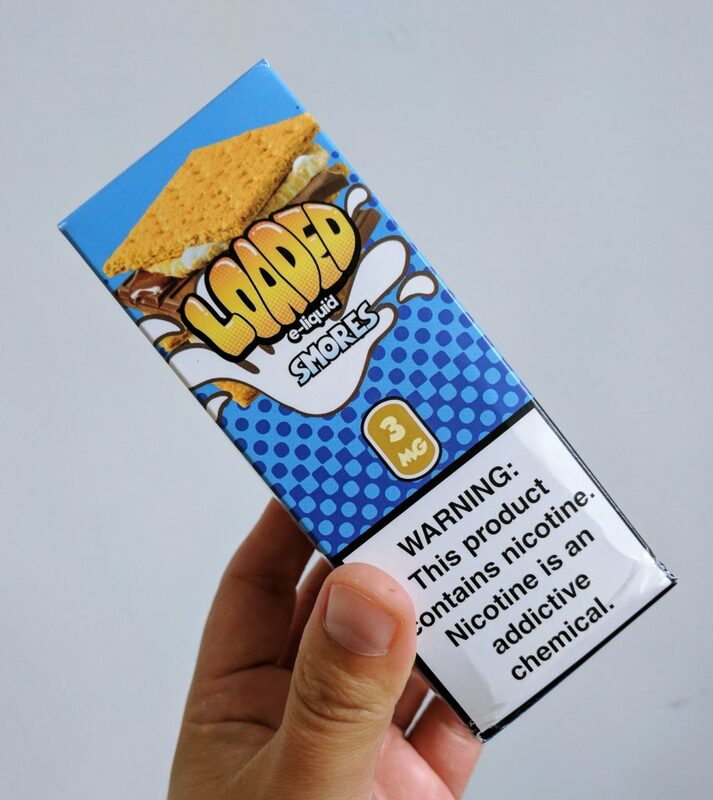 My girlfriend reckons Smores by LOADED E Juice smells like Chai Lattes from Starbucks. I think she’s pretty spot on as well – just add in some marshmallow and you’re pretty much there. If you like Cinnamon and marshmallow that’s smoother than Kenny G covered in butter, Smores is one for you. As the name suggests, this one is all about cranberry and apple flavors and, while I do prefer SMORES, this is still a great flavor. It’s a lot fresher than SMORES, a far more focused flavor that is sharp and to the point. There is also an icy accent in the background that really rounds things off nicely. Cran-Apple by LOADED E Juice is a very fresh, very appealing concoction, though it definitely won’t be to everybody’s tastes. You must first enjoy the throat-hit of ice to really appreciate what’s happening with this flavor. If that sounds like you, and you like cranberry and apple, you will almost certainly dig Cran-Apple by LOADED E Juice. I keep coming back to it, trying it in different tanks, and the flavor keeps developing and changing. Definitely not for the faint-hearted, but if you like your flavors loud and spiky with a cool blast on the back end, you’ll be right at home with Cran-Apple by LOADED E Juice. Do you like donuts? Do you like the glazed? 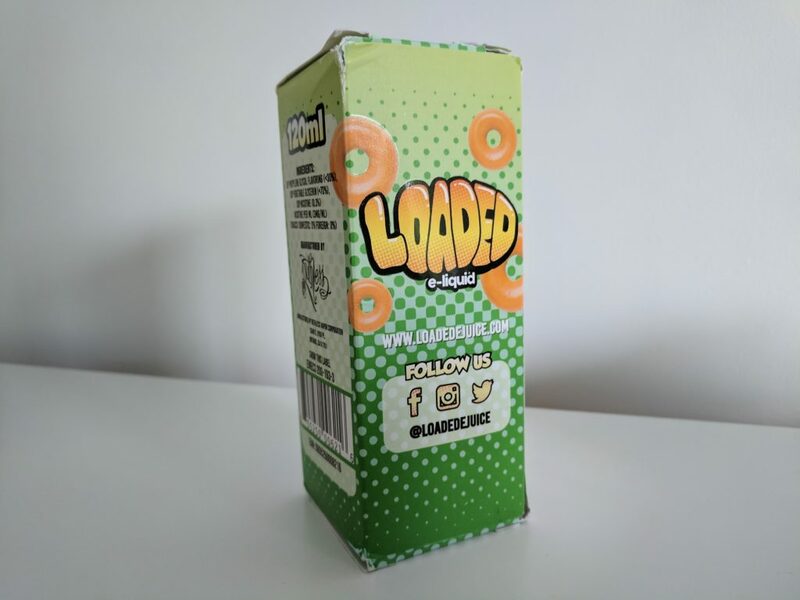 If so, Glazed Donuts by LOADED E Juice could well become a staple in your Juice draw. 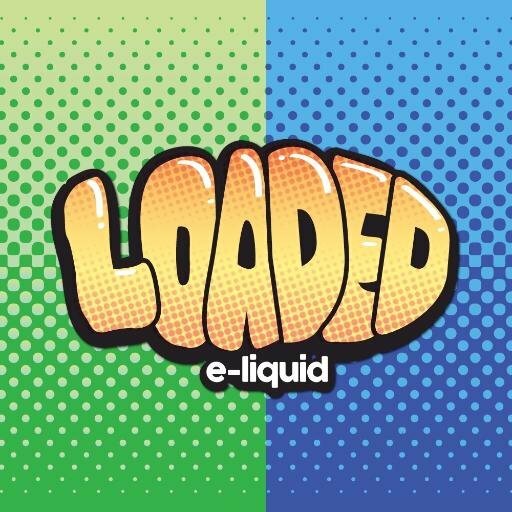 Personally, I am not a massive fan of donuts (I know, I’m a weirdo), but I did enjoy vaping Glazed Donuts by LOADED E Juice. I liked the sweetness of it and the creaminess; it’s very moreish and you can and will vape it all day. It is sweet, though, so if you’re more of a fruity/fresh type of vaper, this one might not be for you. Personally, I quite enjoyed the contrast of switching between Glazed Donuts by LOADED E Juice and Cran-Apple by LOADED. I always have about six tanks laying around at anyone time, so testing and comparing multiple flavors is pretty simple for me. I do this because you can appreciate something like Cran-Apple by LOADED E Juice more after working with Glazed Donuts, as the flavors are more pronounced. Developing… This Article Will Be Updated As I Work My Way Through ALL The E Juice Lines – It Might Take A While!